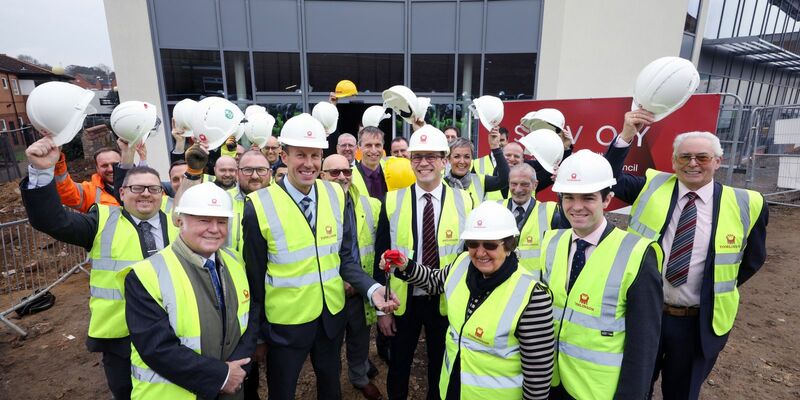 South Kesteven District Council’s flagship development of a new cinema for Grantham - incorporating a university centre - reached a milestone on Friday (1st March) when the building was handed over to Savoy Cinemas for fitting out work. As well as the multi-screen cinema, the building will house a new centre for the University of Lincoln helping to meet current and future demand for highly skilled jobs and workers. There will also be retail food outlets. The handover followed a formal topping out ceremony celebrating completion of the work on the building’s shell. The Leader of South Kesteven District Council, Councillor Matthew Lee, the Deputy Leader Councillor Kelham Cooke, and Cabinet Member Councillor Jacky Smith met Savoy Managing Director James Collington on site with building contractors G F Tomlinson and other guests. Councillor Cooke said: “This is a significant day for Grantham and the whole district, a step closer to providing residents and visitors with a clean, modern and multi-screen cinema that can be enjoyed by many and will be an asset for the town and the surrounding area. Councillor Jacky Smith, who has overseen the project, expressed her pride at the topping out and handover. She also hailed a bright new educational vision for the district with a University of Lincoln centre above the cinema, thanks to a £2m grant from the Greater Lincolnshire Local Enterprise Partnership towards build cost and fit-out. She said: “We shall have the luxury of five superb cinema screens here on the doorstep and a university centre to bring ambitious higher education options to South Kesteven, all under one roof. “It adds up to a bright new skills future for the whole district, from apprenticeships and degree courses right through to Masters and PhDs, which will benefit local businesses and learners alike across South Kesteven.  Ursula Lidbetter MBE, Chair of the Greater Lincolnshire LEP, said: “The LEP is pleased to be contributing £2m through its Growth Deal programme towards this transformative project, which will create a new University Technology and Innovation Centre to serve south Lincolnshire and beyond. “It will provide an anchor and access for south Lincolnshire higher levels skills development and a link for local businesses to a highly successful university. The day was boosted by a goodwill message from the Minister for Local Growth, Jake Berry MP. “We are committed to boosting economic growth across the whole of the Midlands Engine and building a country that works for everyone,” he said.